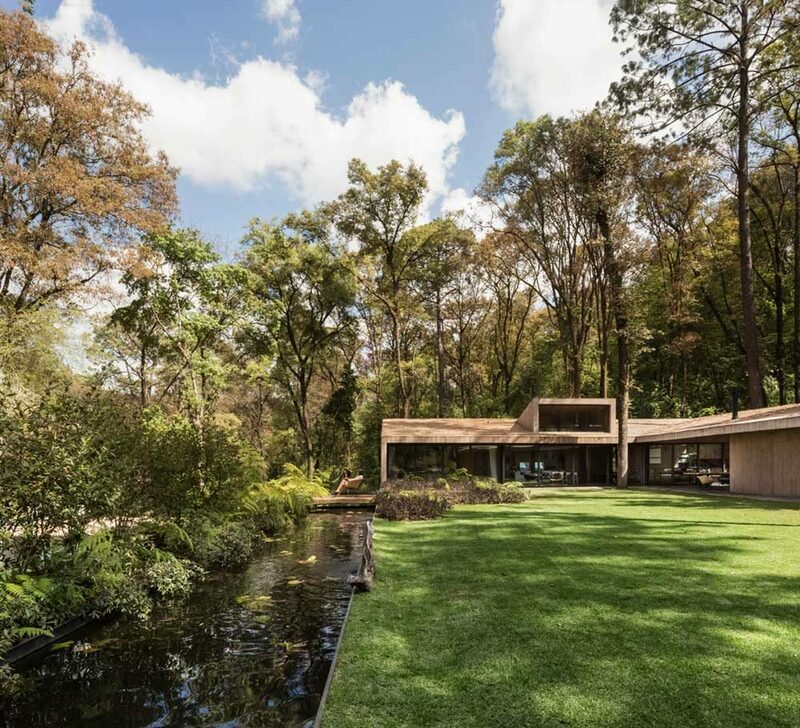 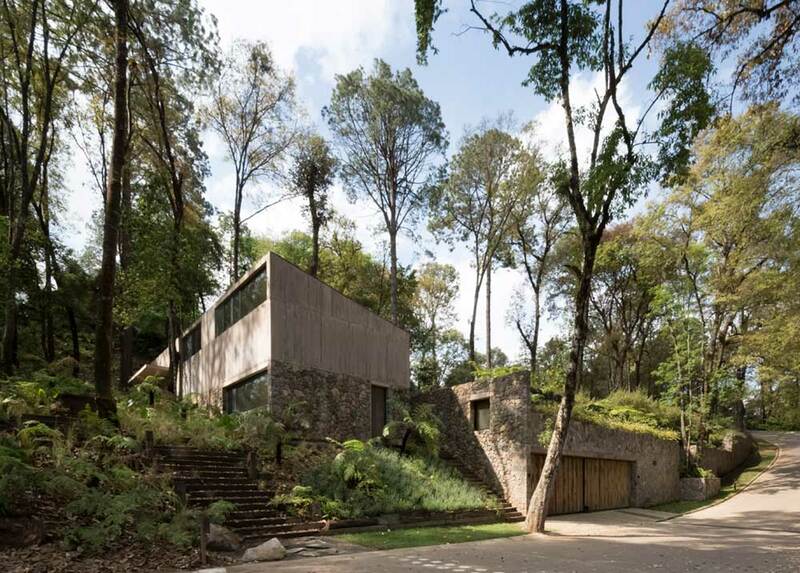 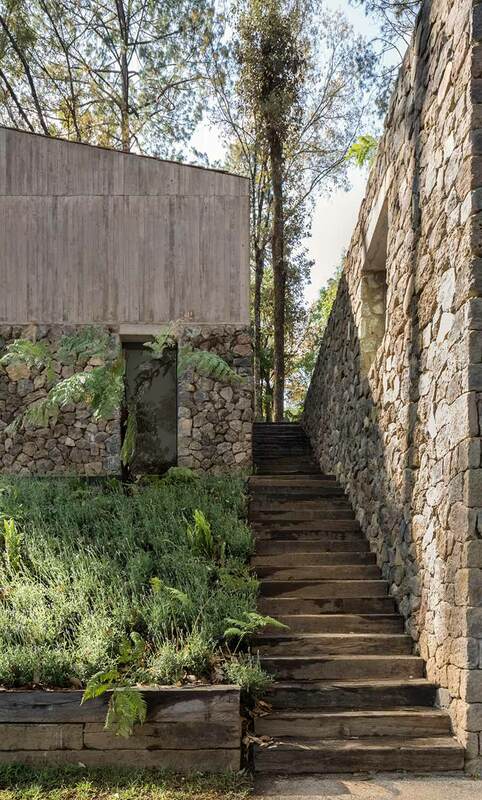 Nestled in the lush natural surroundings of Mexico, this L-shaped house is a horizontal, long drink of water. 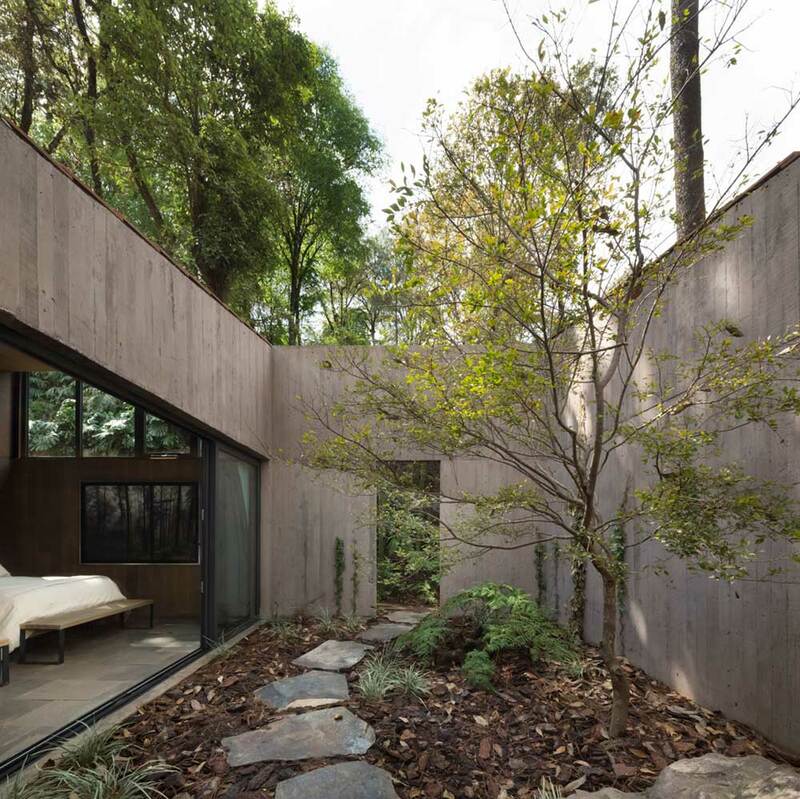 With a courtyard at the center point of the home, a raised living space and a sunken patio area, this house delivers dimension throughout both indoor and outdoor spaces. 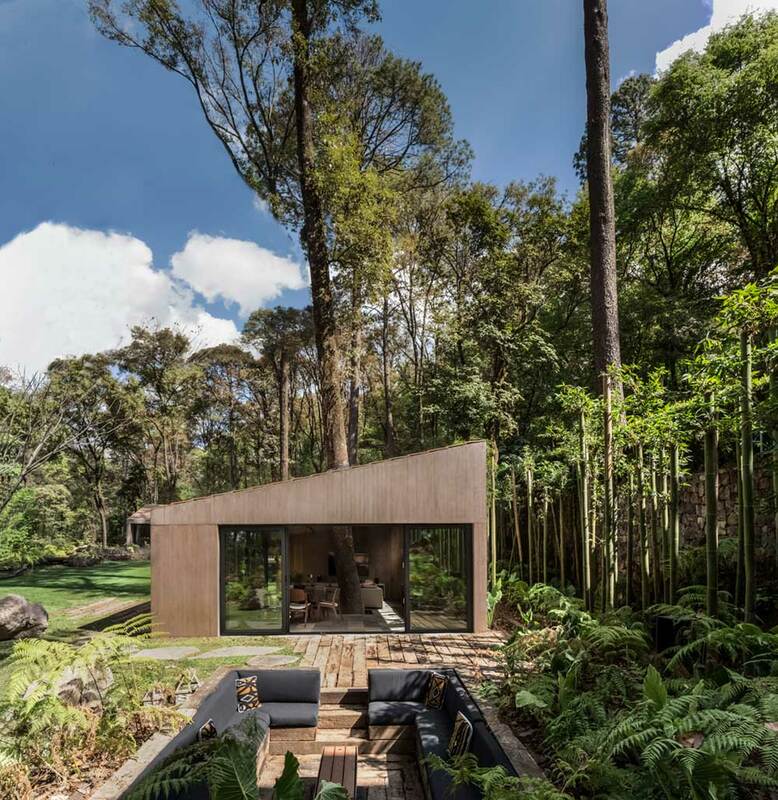 With a uniform interior and exterior color palette, this tropical home blends beautifully with its surroundings, and offers separate spaces for both guests and owners to slumber through slide-away doors found throughout much of the home. 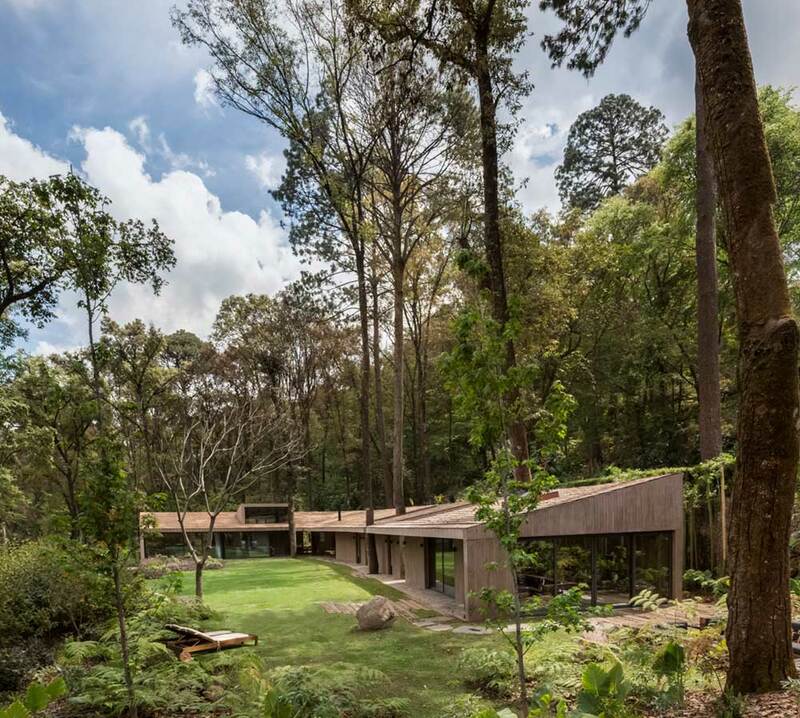 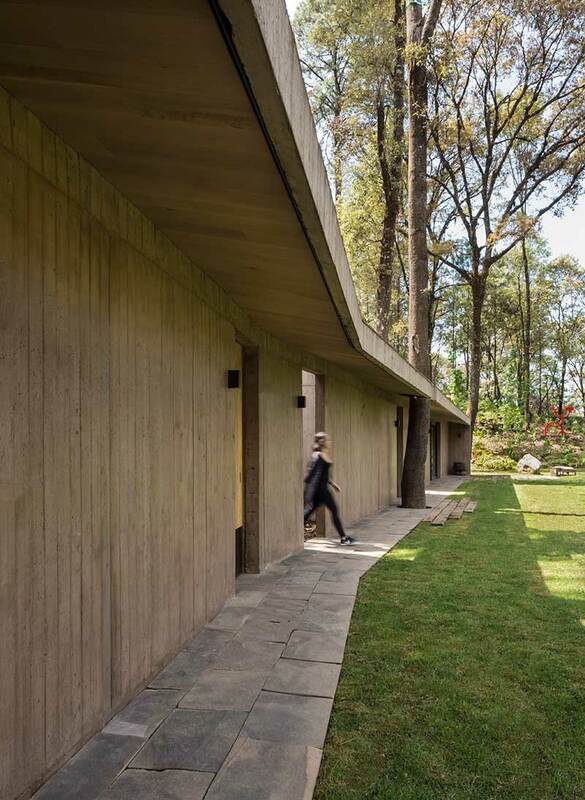 If you have never borne witness to a home where trees emerge directly through it, now is your chance. 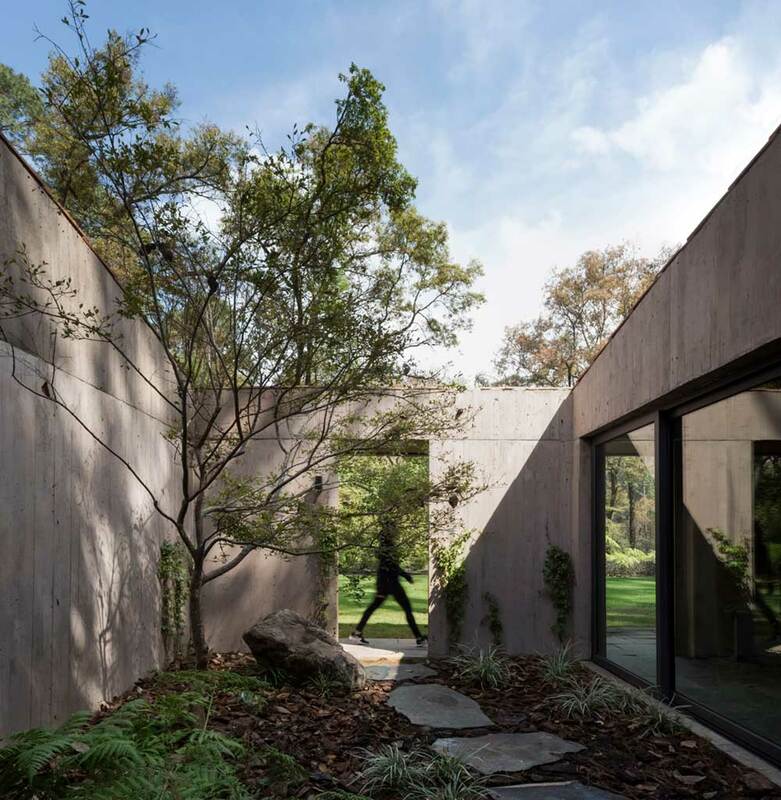 Acting as a weekend retreat for the owners, L House allows indoor and outdoor living to be unified, and creates multiple easy exit and entryways where one can either step out to physically enjoy the outdoors, or stay in and also visually enjoy it as well.